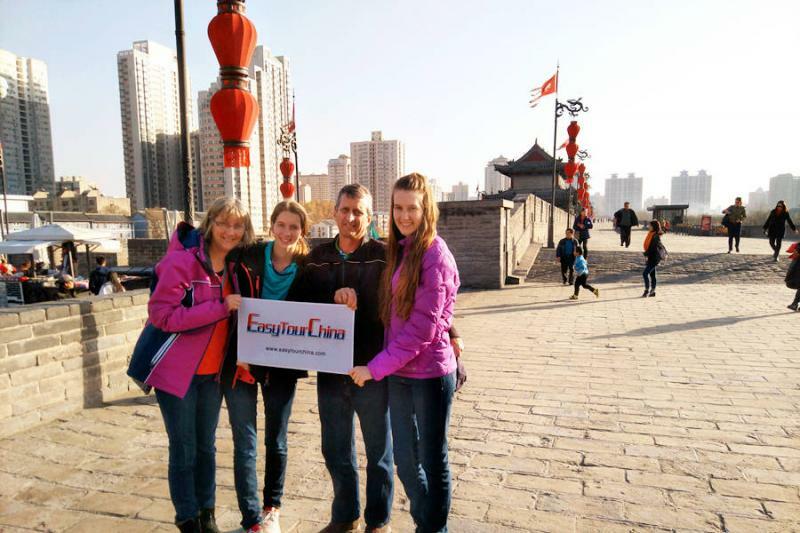 Located in the older part of the Hohhot city in the vicinity of Qingcheng Park，the Buddhist temple Five-Pagoda is also known as the "Precious Pagoda of the Buddhist Relics of the Diamond Throne". 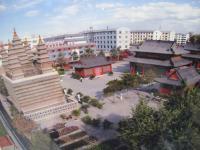 It is named Five-Pagoda Temple for there are five small dagobas on the pedestal of the pagoda. Five-Pagoda Temple was originally a part of a larger temple complex constructed during 1727-1732. Now the temple has disappeared, but the pagoda has remained. 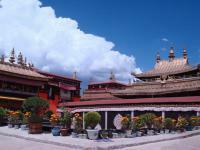 At the beginning, the temple was used by followers and monks as a stupa. The pagoda is 16.5 meters high and it consists of three parts: the base, the seat and the top. The lower part of the seat is inlaid with inscriptions of Diamond Sutra that is written in Mongolian, Tibetan and Sanskrit. 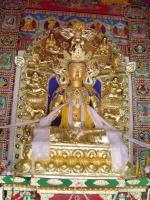 The upper part is niches holding gold-plated statues of Buddha. 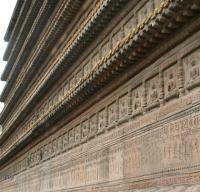 There are various kinds of Buddha figures and scripts, which are carved on the surface of the Pagoda. 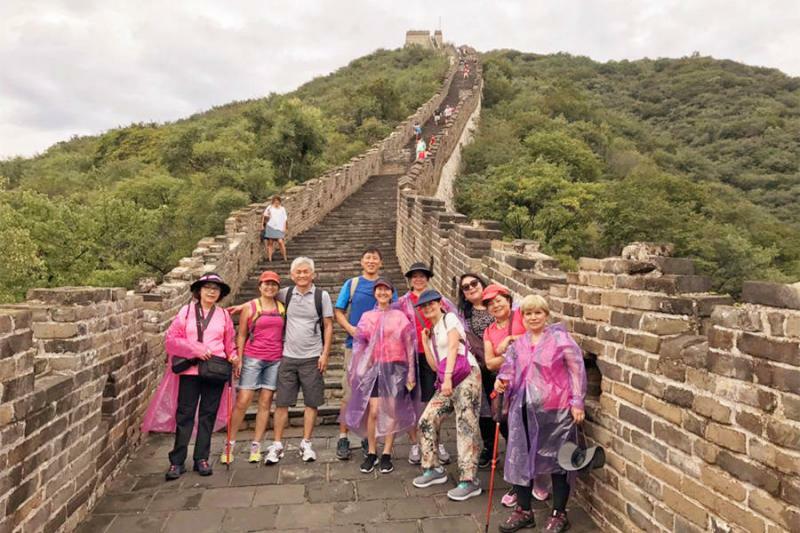 The vivid carvings and designs on the pagoda are finely made, and it is representative of the architectural achievements that were made in the Qing Dynasty. There is also an ancient Mongolian astronomical map to be seen here. The Mongolian Astronomical Map is the only one labeled in Mongolian so far in the world and it is of great importance to scientific research. 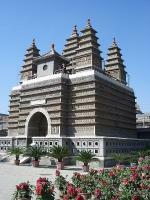 The special structure makes Five-Pagoda Temple quite different from other pagodas.